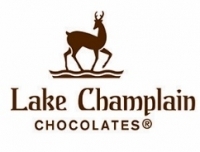 At Lake Champlain Chocolates, we combine fair trade chocolate with craftsmanship, a passion for excellence, local Vermont ingredients, and over 30 years of family values to create the best chocolate experience imaginable. Visit us at one of our three retail locations or order our chocolates online and have them delivered straight to your event! With a large selection of gourmet chocolates, we have something that is sure to delight everyone! The customer is entitled to 10% off their in-store purchases with the Vermont Discount Card.